The aim of the Ageing Strategy is to influence policy and delivery in every area of the authority’s work to ensure that issues affecting older people are factored in. For example, through VOP’s influencing work, tackling loneliness and isolation has featured in local regeneration frameworks and it will, be included in the refreshed JSNA (see below). The VOP team’s success is demonstrated by Manchester’s designation as a World Health Organisation Age Friendly City – the first city in the UK to receive the award. The team has sought to improve the quality of life of older people by developing networks, at the most local level possible, which bring together all the organisations, including public sector and voluntary and community organisations, which work with older people. These networks now cover more than half of Manchester’s 32 wards. Map the supply of ‘provision’ for older people (both from the public sector and community groups) and avoid duplication. Improve communication with older people. Different localities have developed different responses to loneliness, many have created new social opportunities using existing community resources such as the ‘Front Row’ film club at Heathfield Hall, and others have developed outreach programmes using volunteers, such as Healthy Ardwick’s scheme to visit older people in their homes, working alongside police community support officers. The JSNA team in Manchester is currently working on a refresh of the JSNA which is due to be published at the end of May 2012. 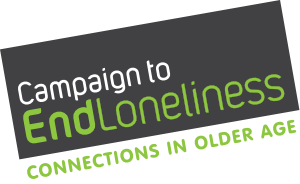 Loneliness and isolation of older people is included as a key issue to be addressed.